Nexans 82374 is a cable jointers tool set containing specially selected cable tools designed to ensure the stripping and preparation of Medium Voltage (MV) power cables. Each cable jointers tool kit contains all the necessary jointing tools required in order to prepare both fully bonded and easy-peel peelable semi-conductive screened cables, typically polymeric insulated XLPE or EPR cables at 11kV/33kV – recommended for preparation of cables up to 33kV to support the installation of separable connectors including the Euromold brand manufactured by Nexans. Supplied within a hard-wearing, foam-filled protective case to eliminate any possibility of damage when the cable jointer tools are not in use. 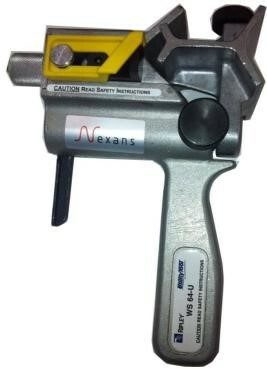 Adopting best practices and correct usage ensures the Nexans cable preparation tools will provide long and trouble-free service of joints, terminations and connectors. Utility cable preparation tools are used to joint, splice and terminate cable for the Electrical Power Transmission & Distribution industry – all cable jointing tools are designed and manufactured to meet specific cable application needs, including accurate removal of XLPE insulation, semi-conductive sheathing, protective jacketing cable sheaths and other materials to produce consistent, uniform preparation of cable ends for splicing and termination of medium/high voltage power cables. 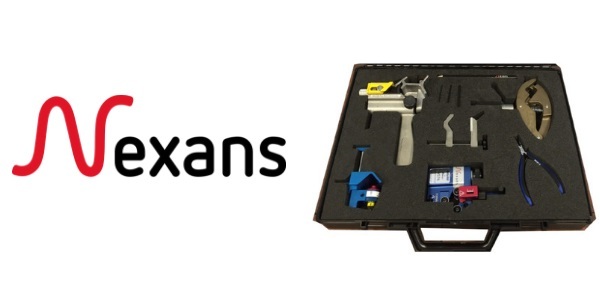 A complete range of Jointers Tool Sets are available from Nexans for all 11kV/33kV/66kV cable preparation requirements to enable installation of all types of joints and terminations including Cold Shrink and heat shrink. The weight of the full cable tool kit is 4.8kg with a length of 455mm, a height of 32mm and a width of 104mm. All individual tools can be purchased separately please contact T&D. The SCS Semi-con Scoring Tool is used to make precision score depth cuts on high voltage power cables with strippable semi-con for the purpose of proper semi-con removal. The cable size range is 8 mm to 45mm (.31 – 1.8”) diameter over the semi-con screen. The tool scoring depth is up to 4 mm (.16”).